The plumage of birds at rest often has a wonderful layered look to it. 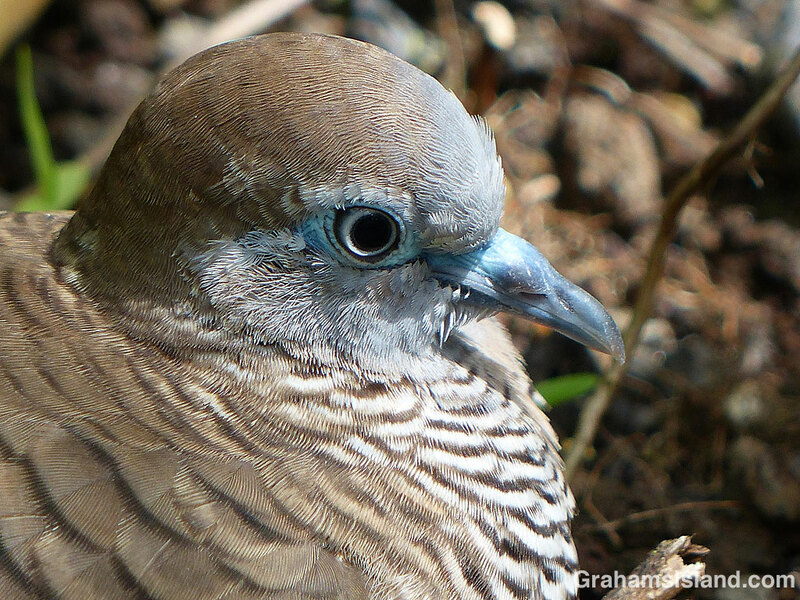 This zebra dove is no exception. Wonderful this photo of the zebra dove.. Thanks, Elke. I like watching the zebra doves and often times they’re obliging enough to put up with me doing so.